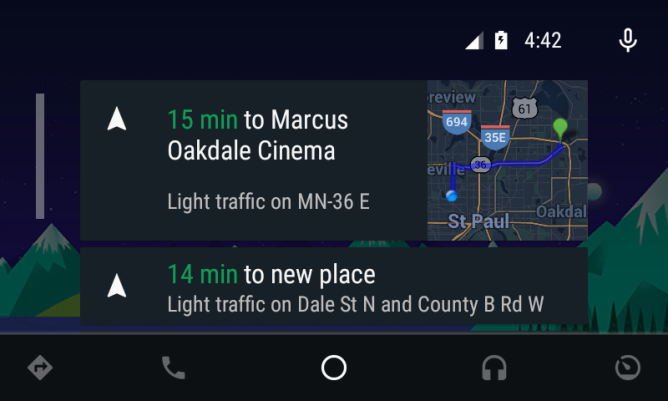 It's been a year since Android Auto was announced, and it's only now starting to hit the market. You can buy a handful of cars with support for Auto (with a software update), and more vehicles are on the way. There are also some aftermarket head units that can smarten up your dumb old car. Now that it's finally reaching consumer availability, we can see how Google's car infotainment platform works. I've had a chance to play with one of Pioneer's NEX Android Auto kits (the AVIC-8100NEX), and have already posted some initial impressions. Now let's dig in and explore this new frontier for Android. This section of the review is only going to be relevant if you're looking at buying one of Pioneer's Android Auto head units. I'll get to Android Auto itself in the next section. All the Android Auto-compatible units have a 7-inch touchscreen with a row of physical controls along the bottom. It's really just the screen and buttons visible, so you don't have to worry too much about the garish design of most third-party car audio hardware. The 8100NEX that I've been testing has a 800x480 resolution capacitive screen, but this is the top-of-the-line model. All of Pioneer's cheaper options have resistive screens. The capacitive screen on the 8100NEX seems about half as sensitive as the display on any phone or tablet I use—you really have to make good contact with the screen for it to register. As for the image quality, 800x480 at that size isn't ideal, but it doesn't look as bad as you'd think when the screen is in the dash an arm's length away. One thing that I do like about the screen is how well it performs in direct sunlight. When a phone attached to your dash would be completely illegible, the matte screen on the Pioneer is perfectly readable. When you're making a product that's going to be in a car all the time, that only makes sense. I'm sure this is something Pioneer knows well. Still, good job on that front. The buttons at the bottom let you control the volume, switch back and forth between Pioneer's UI and Android Auto, skip tracks, tilt the screen, and open the built-in Pioneer GPS nav app. 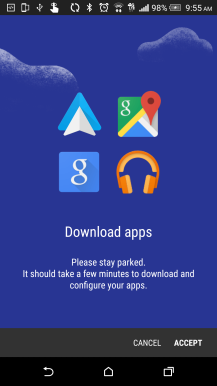 Several of these buttons are redundant in Android Auto (i.e. the skip button), but it's nice to have access to them from any screen. Pioneer also has a tiny remote you can use to access these functions without reaching for the head unit. If you've got steering wheel controls, those should work as well. For what it's worth, you have a CD/DVD slot behind the screen (use the eject button to tilt it down), as well as an SD card slot. You can play audio and video from the Pioneer interface via USB and SD. Please don't watch movies while you're driving, though. 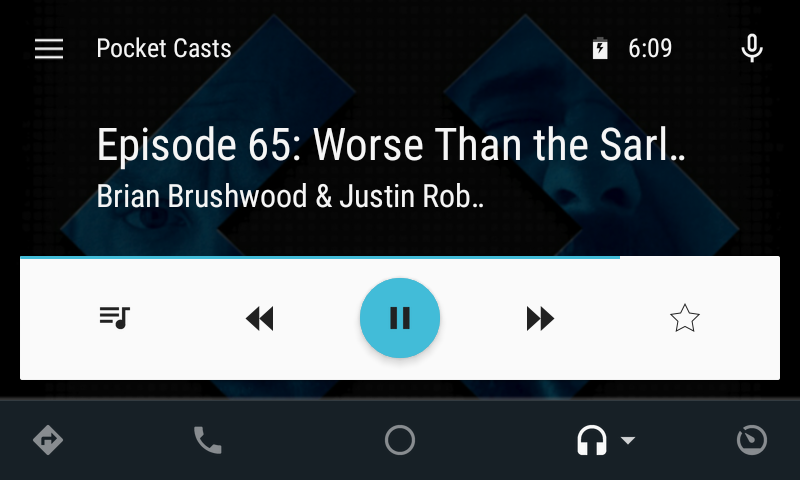 Android Auto doesn't include support for video, and that's probably best. 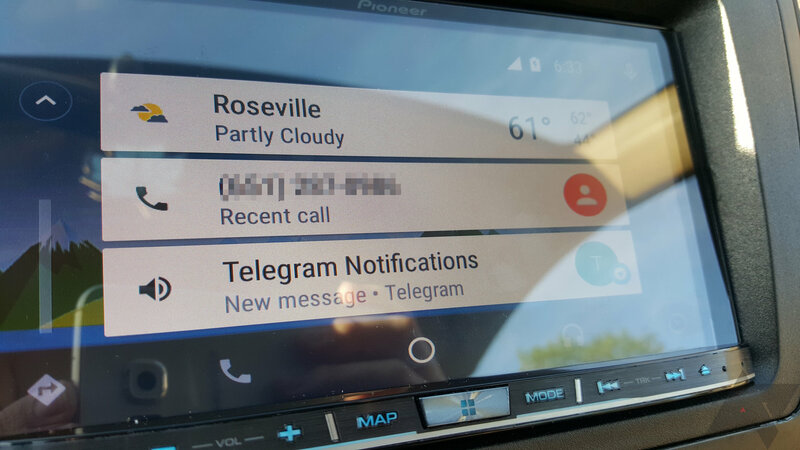 I'm not going to hit the Pioneer software at length here because I'm sure you care much more about Android Auto. For the record I'll say the Pioneer UX is better than some touchscreen in-car systems I've used, but it's still really confusing and disjointed. There's no rhyme or reason to where buttons and UI elements are. Each screen is an adventure as you try to find what you're looking for. Here's an example: you open the radio screen and start listening to a station. This is an HD radio, so you can tune to the different feeds offered by supported stations. But... how? It turns out the station name/info area is a button that switches feeds. That's not really intuitive. I will say, however, that I like the way Pioneer's software works with Android Auto at times. You can turn on the radio and then go back to Android Auto for navigation or what have you. 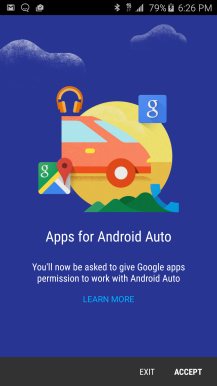 Google's Android Auto platform is powered by your phone, but you need to be running Android 5.0 or higher to use it. I've tested Auto with a fair number of devices including the Galaxy S6, Note 4, Nexus 6, HTC One M9, 2014 Moto X, and LG G3. I haven't noticed any differences in the functionality of Android Auto with these devices. I'm aware of some early problems with certain phones, but some Google Play Services tweaks seem to have solved those issues. I'm confident whatever you use should get the job done with Android Auto. 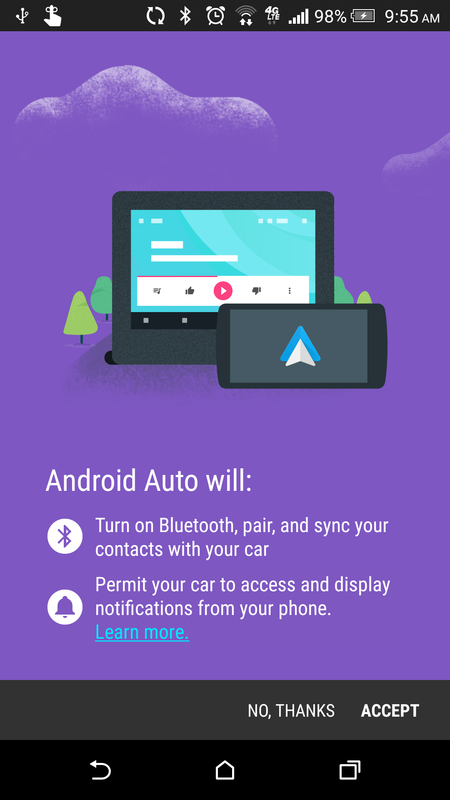 Android Auto doesn't currently listen for OK Google, so you can only initiate voice actions by tapping the screen or a compatible steering wheel button. This seems odd to me, but it's probably to guard against accidental activation while driving. I could see that being a potential distraction. Remember, Android Auto will only work if the phone is plugged in with a USB cable because many of the components actually live on your phone. Apple recently announced the ability for CarPlay to work over Bluetooth, so I'm not sure if Google will work out something similar. For the time being, this is the requirement. Now let's get into specifics. I was worried this was going to be a hassle, but it's actually completely painless with the 8100NEX. As soon as you plug a phone into the proper USB port, Android Auto should boot right up. The only issue I've encountered with connecting is actually more Pioneer's fault than Google's. It seems the head unit can only keep three Bluetooth devices in memory (this is how audio is delivered), so if you try to connect a fourth phone (as I did when testing), you need to go into the settings and remove an old one. That's not something most people will care about, but it's something to be aware of. While you've got Android Auto running on the car's screen, some phones will behave differently than others. In general, most devices prevent you from going to the home screen. Instead, you get the Android Auto splash screen, which is actually a part of Play Services. You can usually multitask to apps that you've had open recently, and a few phones can get to the home screen from another app after you switch. That's kind of defeating the purpose of Android Auto, though. Some phones also bring up their built-in car modes if the OEM has included one. Should you choose to mess with the phone while it's running Auto, you'll notice it's probably very laggy. It seems pushing the in-car interface is somewhat taxing on the system. It's best to just leave the phone alone and use the car's display. The phone should go to sleep and charge just fine. Everything I tested was able to increase the battery charge via the USB port, even when navigating. 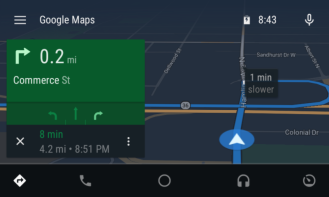 Android Auto's entire interface is split into five sections, which you can access from buttons along the bottom of the UI. On the far left you have Navigation, then phone, in the middle is the overview screen, to the right of that is audio, and on the far right you have a screen that will (eventually) have data and features from the car built in. This doesn't do anything yet, though (and probably never will on aftermarket head units). 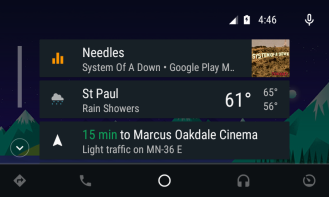 The overview screen is the closest thing you have to a home screen in Android Auto. It has select Google Now cards for things like navigation, reminders, and weather, as well as notifications for audio playback and supported messages. 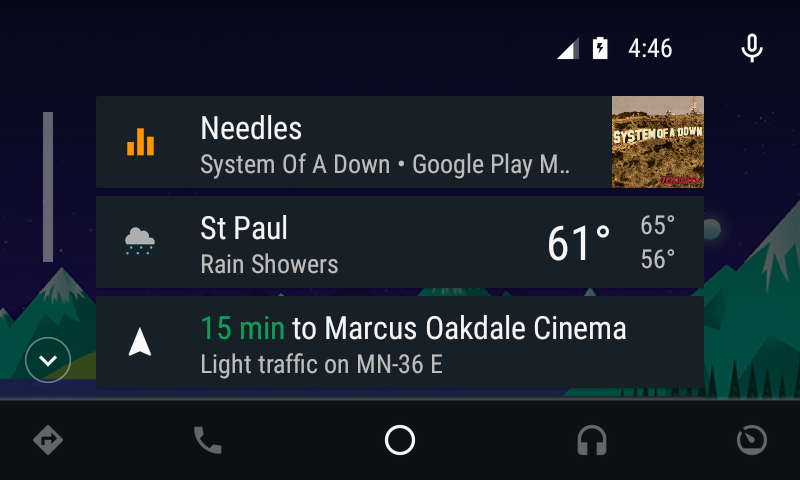 Most notification content won't appear in the Android Auto UI at all because, remember, this is supposed to keep you from being distracted. You also can't swipe unneeded cards away in the overview interface, which annoys me to no end. Sometimes it pulls up directions to something I searched for in the past and won't stop putting it at the top of the stack. 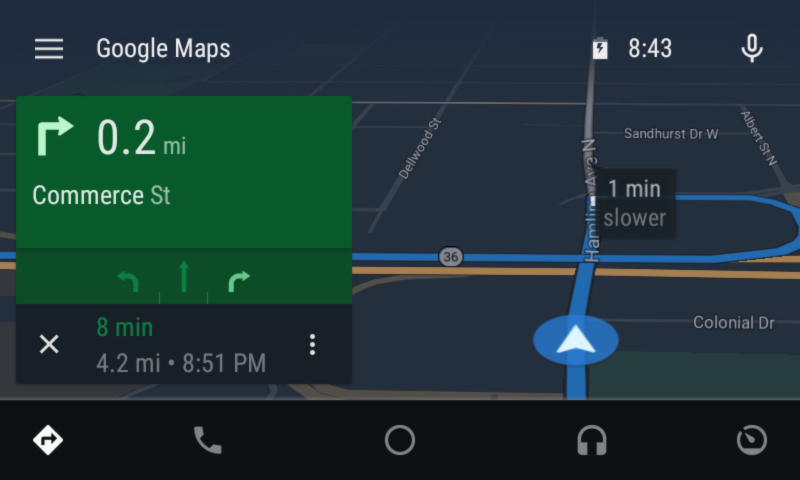 I'll go into detail on a variety of specific Auto features below, but you should be aware of the role heads-up notifications play in Android Auto. You'll get heads-up notifications of important events no matter where you are in the Auto interface. For example when a new song starts or you get a message. So when I'm talking about notifications below, that's what I mean. Also a general note on Android Auto's UI—it has both day and night themes, which are set based on whether or not your headlights are on. That's nifty. 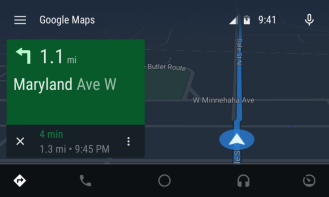 You can zip over to the navigation screen in Android Auto at any time and get a live updated map of your location, as indicated by the little arrow in the middle of the screen. When you're moving you can only use voice commands to find and navigate to locations, but that seems to work well. It's just Google Search from your phone, so you probably know how solid that (usually) is. In the event you can't get the voice controls to understand where you want to go, there's a full keyboard. I know what you're thinking—that doesn't seem very safe, and you'd be right if Android Auto allowed you to access it while moving. The search box that opens the keyboard is only visible when you're stopped, which I believe is determined by Maps itself. This is a clever trick and something I wish other features of Android Auto would replicate, as I'll explain below. The left of the navigation interface will show you the directions, lane assist, and ETAs when you're actively navigating. Should you venture away from the navigation screen, you'll have notifications appear for each upcoming turn, and the voice guidance will still work of course. A card will also stick at the top of the stack in overview. If you like Google Maps navigation on your phone, you'll like it here too. It has all the major features on a bigger screen. 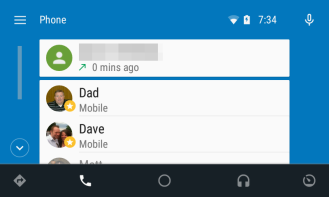 There is no single place to go in Android Auto to access messages. Instead, you'll get a notification when they arrive, but only for apps with proper support. Right now that means Hangouts, SMS (should work natively on most phones), Telegram, WhatsApp, and a few more. New messages will show up in your overview screen and as notifications on any screen. You can tap the card or the notification to have Android Auto read the message, which it does fairly well. Sending a message can be done entirely by voice. If it's a reply to a message you just got, you can simply say, "Reply," to indicate that you want to send a message back. Otherwise, you can tell Google what sort of message you want to send (Hangouts, Telegram, etc. ), then specify the contact. If you've got more than one number or messaging account for that person, you'll be asked to choose one (again, by voice). Voice transcription is the same as it is on your phone, so really good in most situations. Calls have their own screen in the UI right next to the Maps tab. You can go here to see your recent calls and access your favorites. There's also a number pad for dialing numbers. You don't get access to your full contact list, though. In the interests of safety, anything beyond your favorites needs to be accessed via voice. I understand the sentiment, but I really, really wish the phone interface would take a page from Maps and differentiate between a moving car and one that's stopped. If you're not actively driving, it should just show the full contact list in the same way Maps shows the search bar/keyboard. Incoming calls appear as a notification no matter which screen you're on. When you place or answer a call, it's just a standard Bluetooth deal. The quality will vary depending on the Android Auto hardware and where the mic is. With the Pioneer, there's a small adjustable mic next to the rear-view mirror. I have no complaints on this front. There are a few popular streaming music apps and other content aggregators available with Android Auto support, but not very many. If you use Google Play Music, you're good to go. Spotify is also supported, as are Pocket Casts and NPR One. Beyond that, things get murky. 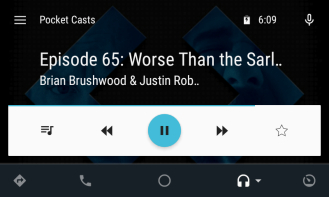 There's no way to get the audio from an unsupported app into Android Auto, which does limit what you can do. On the Pioneer unit you can access the audio from unsupported apps and have it handle the playback, then go back into Android Auto for navigation or whatever. That's not very convenient, though. 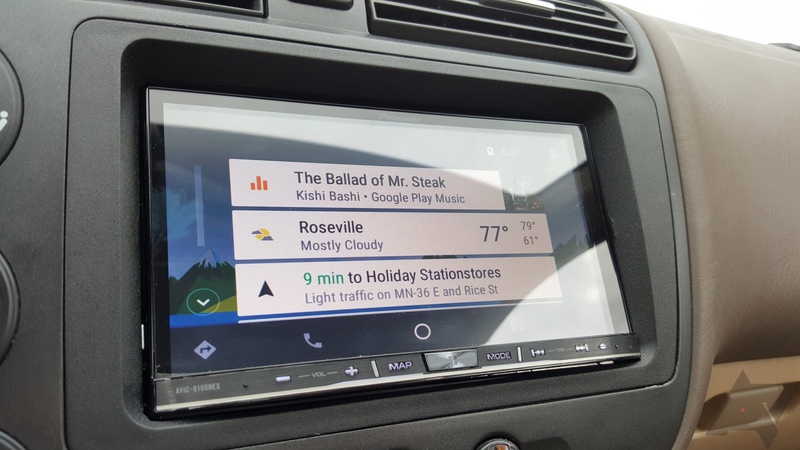 There are strict guidelines for how audio apps can behave on Android Auto, again in the name of safety. The UI is consistent across these apps, but the colors and navigation menu will be skinned to match the brand (i.e. Play Music is orange, Spotify is green). You can switch between the active audio app by tapping the audio button at the bottom a second time. Since Google Play Music is probably the most common app in this category, let's go over that as an example. First and foremost, you don't have access to your entire music library by touch. The navigation menu has listings for playlists, listen now, the current queue, and radio stations. You don't even get the mood mixes Google got from the Songza acquisition. So that's a bit annoying. Again I can't help but feel like a Maps-style separation of functionality between moving and not moving might be nice here. Let me access the full music library by touch when I'm stopped. Please? You do still have access to just about anything by voice, but it's not quite as precise. 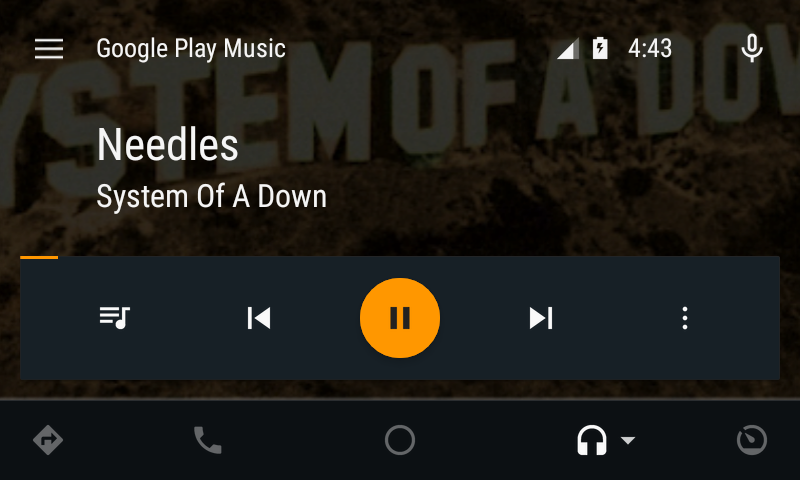 Android Auto is great at finding music (most of the time). Even bands with unusual foreign names are usually recognized. If that's how you prefer to queue up music, you won't be disappointed. I have noticed an occasional bug where a song will start playing, but the UI still says "getting your selection." Pausing and un-pausing fixes it, but it would be nice if Google worked that out. 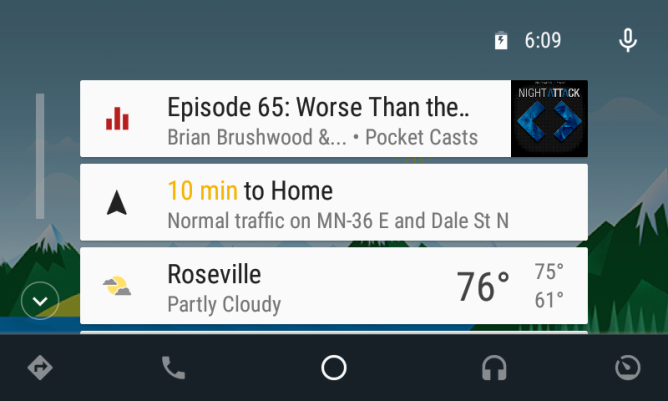 Don't expect Android Auto to do all the same things your phone does in the car right now. It's easy to see this as a drawback, but think about it—how many of those things should you really have been doing? You're driving a huge chunk of metal and glass at highway speeds. Messing with your overly elaborate in-car phone setup is not a great idea. 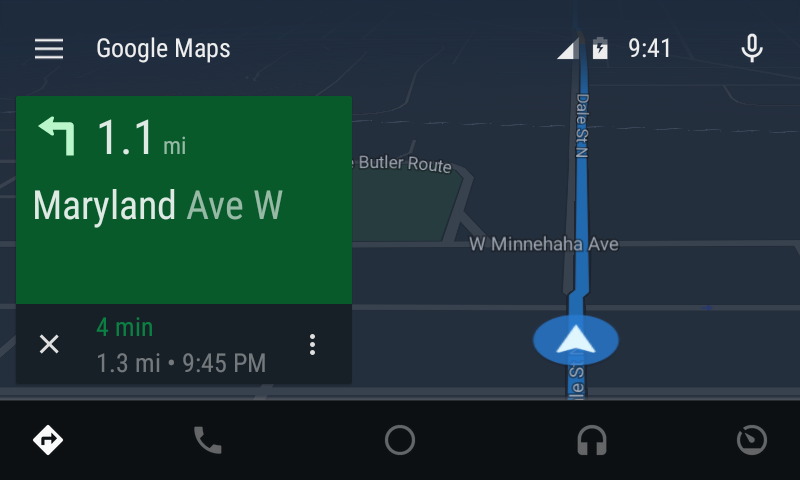 Android Auto does the essentials, and some of it is done very well. 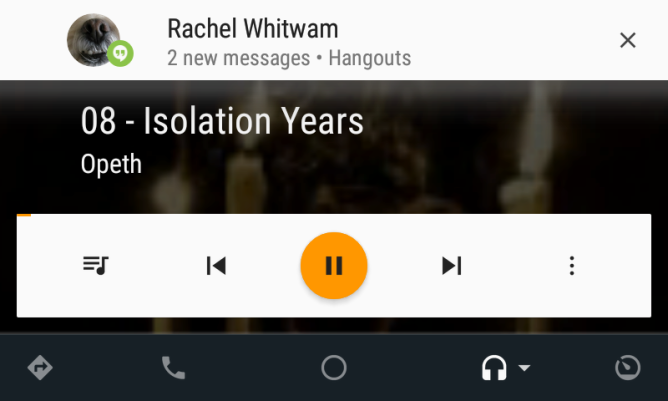 Google only allows developers to make messaging and audio apps for Android Auto right now. UI decisions are also limited. That's a lot more restrictive than standard Android stuff, but it makes some sense. Android Auto is a highly-controlled interface that is designed to adhere to safety regulations. The limits don't strike me as problematic for the most part—it might be nice to use something other than Google Maps (which is online only), but only very rarely is that going to come up. 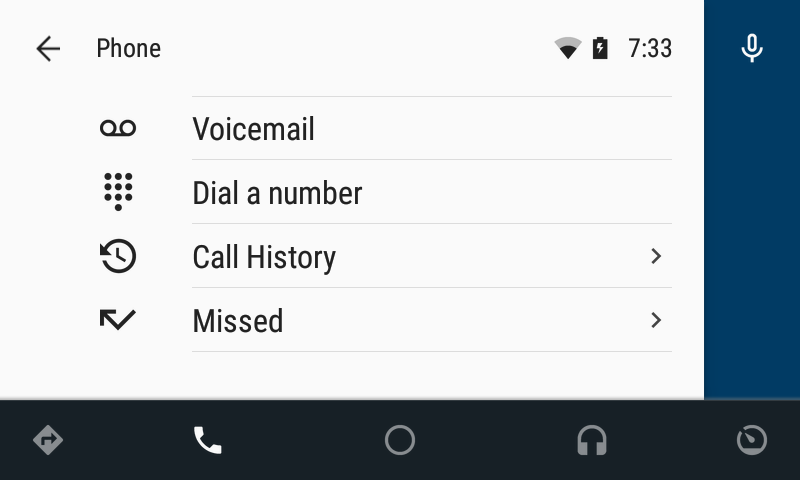 Likewise, phone calls via the native dialer will get the job done most of the time. Maybe using a VoIP app like Skype could be nice? Not a deal breaker either way. The big problem with Android Auto is just that there aren't very many apps. Compared to Auto, Android TV is a thriving ecosystem. I think there are barely more than a dozen total apps with compatibility. Messaging hits all the high points, but media is lacking. More streaming services need to get on board for this to be a truly compelling experience. 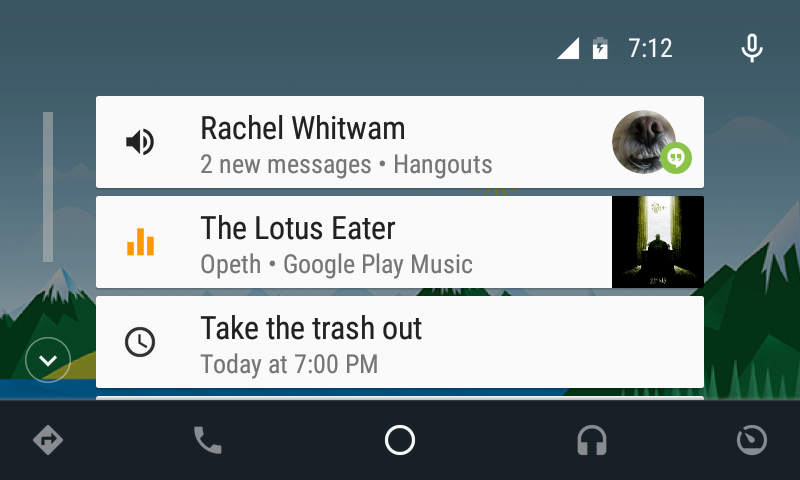 So, to wrap up, Android Auto is great at navigation and messaging. Phone calls are good, as long as you're down with voice dial. Media apps are really hit or miss. They're a little buggy at times and the selection isn't great. If you already use Google Play Music, Spotify, or Pocket Casts, you'll be fine. I'd really like the music library to be more accessible when parked, though. If you're going to buy a new car in the coming year or so, getting something with Android Auto is a good idea. It probably won't add much to the cost of the vehicle. In fact, many companies will include it with the basic infotainment package. The aftermarket head units, on the other hand, are not such a good deal. The 8100NEX I've been testing sells for almost $900 on Amazon, and the installation is sure to cost another few hundred on top of that. Even the cheaper ones are over $500. It's hard to justify that expense when an aux cable or Bluetooth connection will get you much of the same functionality in the car, though not as conveniently.